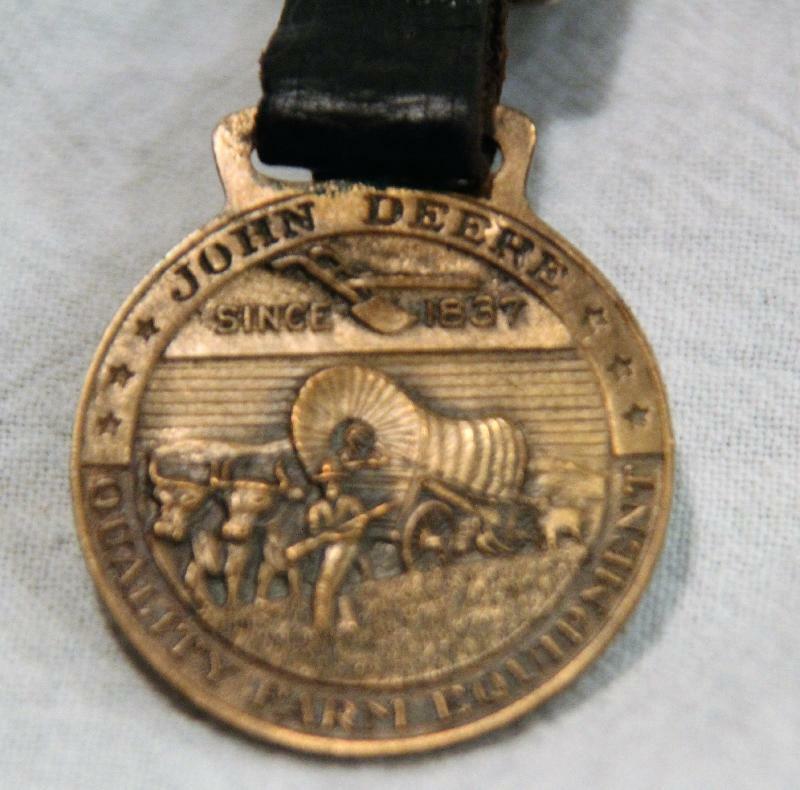 This is a nice John Deere watch fob advertising quality farm equipment. 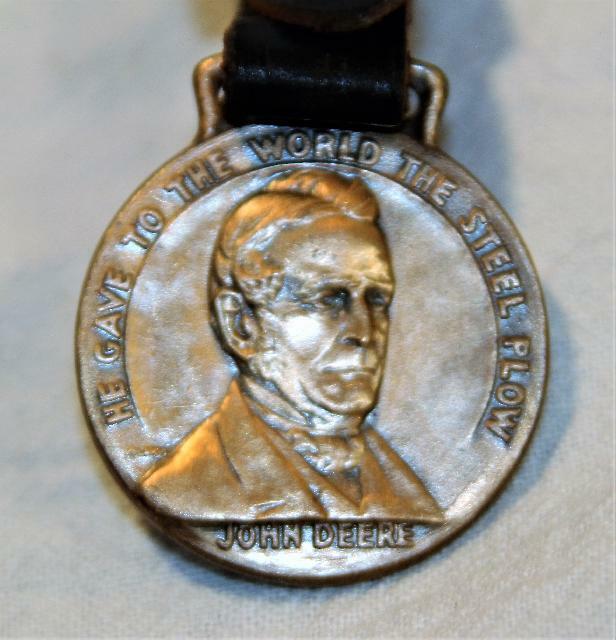 States he gave the world the steel plow. Not sure of the age of this item. The round part is 1-1/4 across. The overall length is 4 including the leather band.